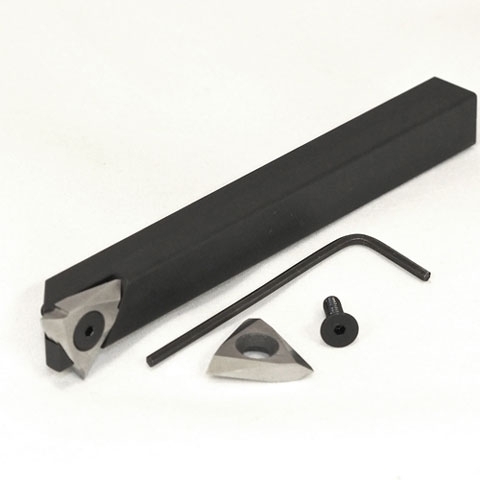 If you have experience in either machining or purchasing machined products, you are probably aware that a good chunk of that cost comes from set-ups and the time it takes to for a set-up. The price increases further when a project requires a dedicated fixture designed specifically for that part, but this is not always necessary. For a company such as CPM Industries, we must reduce costs where ever we can to keep prices competitive because we are a prototype to production manufacturer that works with smaller quantities. On July 7-8, 2015 Walmart will be hosting a U.S. Manufacturing Summit in Bentonville, Arkansas. Tuesday, July 7th will be an open event to provide manufacturers with the opportunity to present their American made products to the purchasers of Walmart, Walmart.com, and Sam's Club. This is a huge opportunity for any manufacturer to get their products within one of the nations largest retailers. On Wednesday, July 8th the President and CEO of Walmart, Greg Foran, will discuss the American Jobs Initiative and U.S. manufacturing trends with the help of Asa Hutchinson (Arkansas Governor). As many of you know, our company recently (2012) changed its name to CPM Industries to more closely convey the scope of the business. 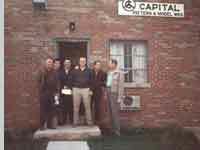 Prior to being called CPM, we were formally know and Capital Pattern and Model, Inc. because the company was founded as a pattern shop in 1960. From 1960 to about the mid-1980's Capital Pattern and Model exclusively produced patterns and toolings for customers. At CPM Industries we design and produce the patterns and tooling needed to produce a casting and we even machine castings in-house. 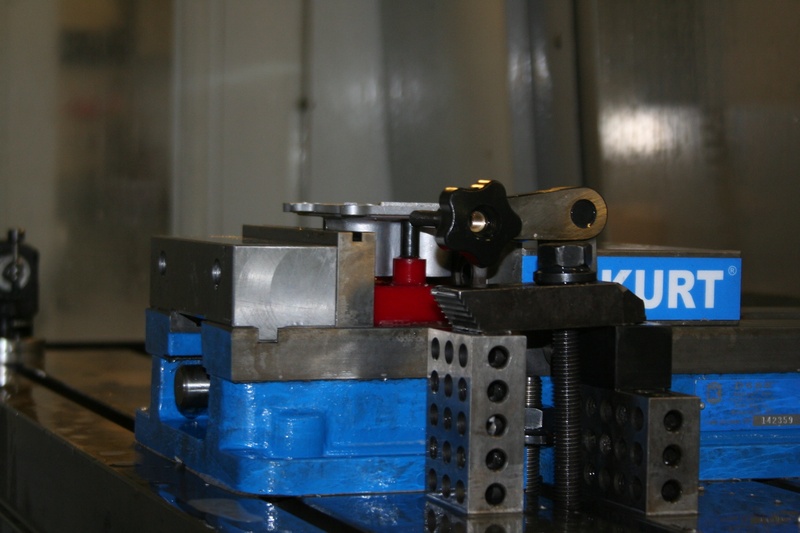 So as a pattern and machine shop, we go through our fair share of machine tools each year. Today I came across an interesting way of forecasting and analyzing the U.S. Manufacturing industry by the consumption of machine tools. If you think about it, most manufacturers use machine tools to produce their products at one stage or another in the manufacturing process. 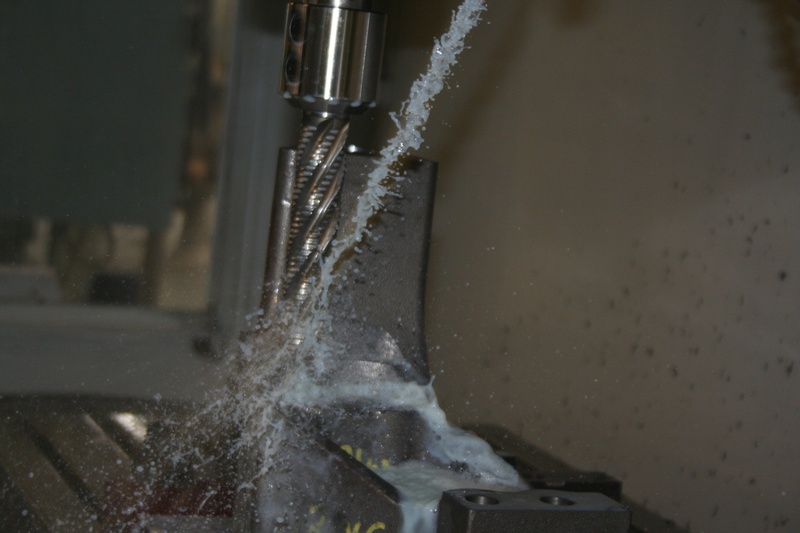 Are Alloys Outpacing Cutting Tools? In the automotive world, manufacturers must produce what the consumers want in-order to be successful. In recent years, what the consumer wants is a decent sized car, plenty of power, and great gas mileage. To meet those demands, manufacturers have been reducing weight everywhere possible including the engine. To put it plainly, engineers are tasked with designing smaller, lighter engines that can outperform the larger heavier engines they are replacing. This can be achieved with performance upgrades such as turbo chargers that use the energy from exhaust gases to force fresh air into the engine under pressure, which increases power. But those tricks can only go so far and manufacturers are now demanding more results from their suppliers. Most Interesting Casting on a Vehicle? The battery in your car relies on castings to operate properly. When you think of a car battery most people think of a really heavy square thing made out of hard plastic, well at least I do. The only metal I can picture every seeing on a car battery is the two metal terminals on top where the wires are connected. Although those too may be casted, but I am not sure. The castings a battery relies on are actually found inside of the battery and to further explain, we must know how a car battery operates. 2014 was an amazing year for the manufacturing industry, specifically job growth within the industry. With all of the talk recently about how manufacturing is going to pick up and produce jobs for the economy, it is nice to finally see some numbers to prove it. According to the US Department of Labor's Bureau of Labor Statistics, over 193,000 manufacturing jobs were created in 2014 with an average of 16,000 jobs per month! Who said American manufacturing was dead? Who doesn't enjoy going to the movies now and then? Popcorn, candy, a big comfy seat, and a screen the size of your house.. what's not to like? Well ok, maybe the price of a movie these days, but that's not the point. The point is, without castings you may have never been able to see your favorite movie in high definition on the big screen. One of the largest manufacturers of high definition projectors is Christie Digital Systems and they have been using castings in their projectors for years. It's almost that time of the year again, are you ready? Are you attending? The 119th Metalcasting Congress will be in session from April 21 through April 23 and will be held in Columbus, Ohio. The event will host countless suppliers, metalcasters, and buyers/designers from all types of companies within the industry. It is a perfect way to explore what the industry has to offer while connecting with your supply chain. The congress will also consists of technical sessions, awards banquets, a table-top exhibition show and Cast in North America (an exhibit opportunity for metalcasters to showcase their capabilities to casting buyers). The One Casting That Just About Everyone Uses? The other day I was having a conversation with a friend of mine from college who I hadn't talk to in some time. It was the typical conversation that you would have with someone from college. "Where do you live these days?" What do you do for a living?" ...Yeah one of those conversations. As a consumer I have always been very price conscious of the products that I purchase, especially in today's market. Most consumers use the price of a product to influence their purchase, after all who doesn't want to save money when ever they can? But just because I use the price of a product to HELP make my decision doesn't mean that I go out and look for the cheapest possible price. The cheapest price doesn't always result in the least amount of money spent and most expensive price doesn't always translate to the best quality. This concept not only applies to individual consumers, but also applies to industrial consumers such as machine shops and pattern shops. Protecting your investments is something that usually goes without saying. When making purchases with high dollar values, the first thought it how to I protect my investment or make sure I can get my money back. You wouldn't purchase a vehicle or a home without purchasing insurance to go with it, so why do so many companies purchase patterns and tooling that are uninsured. As a casting supplier, we review and approve all casting designs prior to being sent over to the foundry for pouring for obvious reasons. The obvious reasons being that the design is able to be casted and for that we check things like wall thickness, parting lines, and internal cores. However, over the years we have found that it is a common mistake for engineers to forget to add machine stock to the necessary areas of the casting. For the most part this is not a major problem, but there are instances where this can create quite the headache. A major regulation, by definition, is an imposed rule that would have a cost of $100 million or more in expected economic impact. Over the last five years, there have been 157 new major regulations in the United States, many of which have a direct impact on the manufacturing and metalcasting industries. From the time President Obama took office until now, there has been a record 3,659 final rules and 2.594 proposed rules that have been issued. There have been several EPA regulations introduced recently, but the Power Plant rule, Ozone Legislation, and the proposed Waters of the U.S. rule will most likely have the most impact on the metalcasting industry. Happy Holidays from CPM Industries!